Ever since I started the Gotheborg.com Help and Info page on Antique Chinese and Japanese porcelain, I have often been asked about, – Which book should I buy? Unfortunately there are no simple answers to that. For a general run down on the whole subject, the best I can recommend is He Li’s Chinese Ceramics below, but it is also a slight overkill. Similar thinner but also less expensive are the two excellent museum guides; Suzanne G. Valensteins, A Handbook of Chinese Ceramics (MET), and Chinese Pottery and Porcelain: From Prehistory to the Present by Shelagh Vainker (BM). Still, no book covers everything. It is also easy to go cheap and squander money of inexpensive catalogs and small “popular” summaries. Eventually you will find that you are still lacking the one – really good – fundamental book that might have given you both the context and the details at the same time. This is why I have put together this section on Gotheborg.com. Here I try to point you towards the “good books” that you should have and the “good additions”, that add examples and the “small talk” that you need to arrive at a fuller understanding of any topic. You will soon see that there are only a handful of heavy weight scholars that writes the really good ones. I could of course just list those names here and make it simple for you to just go for those. However, in reality you will also need the nerds and the specialists, the books of those who have found their specialist area and then followed the advice to dig where you stand. And yes – then they dug straight down from where they stood and ended up as super experts on a very, very small area. They are so fun and yes, I could mention the names of those too but why ruin the fun for you to discover it all? That would seriously make things too easy. Collecting books is a collector’s area in itself and how could I ruin that for you? Something I find so much pleasure in myself? However, if you really want just one book, I recommend Chinese Ceramics, by He Li. It covers it all, it’s modern, it’s up to date and it shows good quality pieces from the entire Chinese history and it gives splendid value for money. If you rather want a book about a selection of the very best Chinese porcelain pieces ever made, the classic beauty of ‘world class’ Chinese porcelain etc. then I think you should treat yourself to a copy of the two-volume set of Chinese ceramics in the Baur Collection, by John Ayers. For good quality books at very good prices you should look for anything published by the Percival David Foundation (PDF) in London. 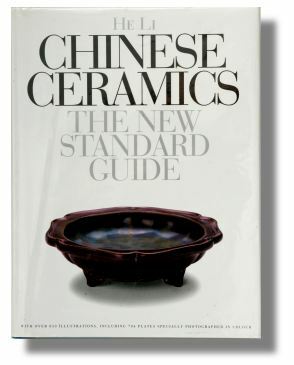 It is nowadays incorporated in the British Museum’s collection but the books from them remains very neat packages of sophisticated scholarship that definitely shows what Chinese Porcelain can be about at its best. However, the field of Asian Ceramics is large. If you for instance are into export porcelain, those above titles hardly even touch that subject. From overviews you can burrow straight down in any narrow direction you want, down to individual shipwreck cargoes or backyard excavations in any or all continents of the world. 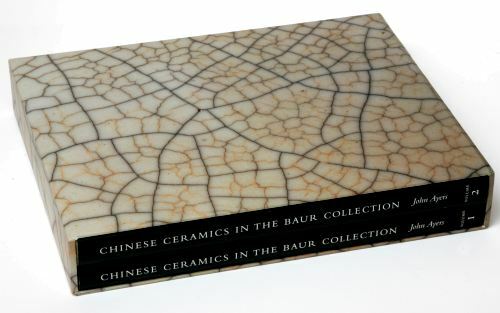 Export porcelain is a large and specialized area of its own and there simply are no “covers it all” books on this. You will need to look into this area by area since there are as many different kinds of export porcelains as there were markets. Thanks to the old Chinese system of tribute you will also find very important porcelain among those that was made for “export”, in for example the Turkish collection of the Topkapu Sarayi Muzesi, Istanbul and the Ardebil Shrine in Iran. The best I can do is to present this list. These are my personal choices, and the list is growing day by day. This list is sorted under a number of main headlines roughly estimated to cover various collectors’ areas. My suggestion is that you click on any of those to get a number of suggested titles for that area. Some book will of course appear under several areas. The search box gives a surprisingly good result and with a little bit of luck, the book icons that comes up and will lead you directly to Amazon.com, that have large parts of any book scanned in for reference, so you can take a closer look. I also need to tell that this is recommended reading only. I don’t sell these books, the pictures I am showing are from my own copies. Quite a lot of them are also out of print and might be frighteningly impossible to find while other might be available second hand. Some are chewier then others. But, no titles should be directly bad or misleading. Whenever possible, I have tried to add a link to a copy for sale at Amazon.com. Take the opportunity to go for “used” copies. What is in them is usually much more important than how the book actually look. Now you can start digging in, looking for books. Have fun! Please post your comments and any reviews you care to write! Short PS – If you are only looking for information on a limited number of pieces, maybe some pieces you have inherited maybe whay you need instead of a book is a membership at the Gotheborg Discussion Board. To ask people who already know is much faster. If you get hooked on the subject, you can and should buy the books later.